Want to spend more time in Takayama! Overall, this was a great tour. 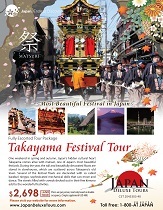 The hotels are great, especially in Tokyo, Kyoto, Takayama, and Kanazawa. Wish we spent more time in Takayama and Kyoto and have free time to wander the cities. The meals were good as well. We enjoyed the drive along the Japanese Alps. Visited many scenic spots on the way to Matsumoto. Glad we got to experience a traditional kaiseki meal. 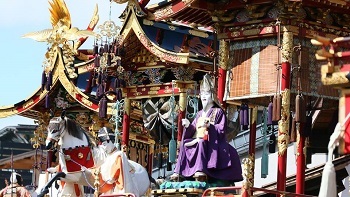 This fully escorted tour takes you to West side of Japan exploring Kyoto, Kanazawa, Takayama festival, Shiragawa-go, Matsumoto, Hakone, Mt. Fuji, and Tokyo.